Extended now, that scarred childhood is fiction infused to bridge time. 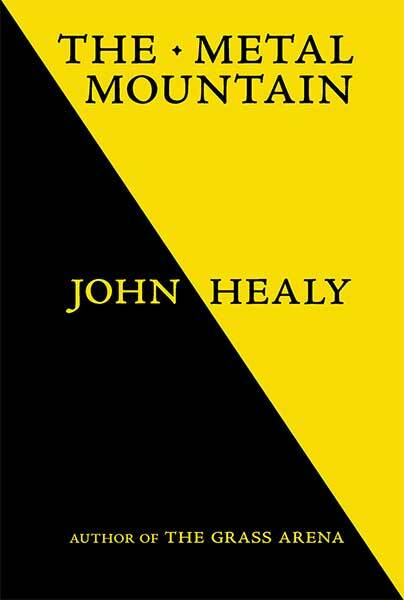 Metal Mountain that Healy’s aspirant souls try to climb. And doorway, when betraying the burden of first the social and then the Biblical word. Moving both Author and reader through the triumphs to come, the deep hurts. To heroes it seems, as the shadows of war mar the pavements. Fathers as soldiers and the betrayals of so called peace blur their eyes. For what do fighters do when their souls, irrevocably changed are unwanted? As the call to arms will hang limply when there is nothing left hands can prize. As the father fades, the son sparks his way into trouble. A child’s arrest. Scrumping apples. These first misapprehensions soon attain poignancy. Spares no detail. With his chess master’s precision, fate achieves fluency. The prose style is rich but does not court attention. Suffering could be written, a soul stained, clouded mirror framing all the poor hate. Their isolation. Their loss. Their lack of joy. The long journey. As if whatever mountain lay waiting would never be theirs to ascend. Trouble; accusations around the train station; she quickly becomes his defense. ‘Turn informer and all will be well for the English’ is one of her first revelations. For injustice and a thriller that spikes life’s pretence. Bridget’s beauty is fuel. From the ransacked and finds his own home and palace, his own metaphor. Locating its heart she will brace it, moving deeper still, to explore. Love instructs. What we return to is love, if just for the self and no other. John Healy’s dignity saved him from a seemingly endless line of defeats. And into the bottle, are here seen and broken, littering the street like glass tears. It was only after he’d drunk that he found the clarity Bridget essays. But which can reflect the organic and the glorious goal we can seize. This entry was posted on 6 April, 2019 in homepage and tagged by John Healy, David Erdos, The Metal Mountain. Bookmark the permalink.